Last week, Mark Hamill accidentally let the droid out of the bag by revealing that Anthony Daniels will appear in Solo: A Star Wars Story. We assumed that meant Daniels would be playing C-3PO, because that’s who he played in literally every other Star Wars movie, but at the time we noted that it wouldn’t make much sense for C-3PO to cross paths with the young Han Solo since he and R2-D2 were working with Jimmy Smits’ Senator Bail Organa on Alderaan during the Solo time period. 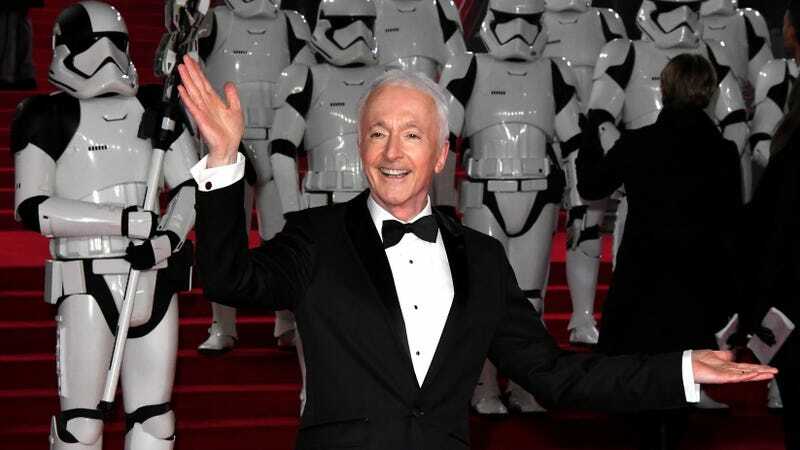 As it turns out, Anthony Daniels is in Solo, but he’s not playing C-3PO. Uproxx tracked down Solo screenwriters Lawrence and Jonathan Kasdan, and they revealed that Daniels is actually playing a Wookiee, specifically “Chewbacca’s best friend.” The Kasdans offered some plot details about what Daniels’ Wookiee will be up to, but it mostly sounds like a minor role. Also, we don’t know if Daniels’ Wookiee is the one from the Solo trailer, but it seems likely.